A citation gives credit to the original author(s) of a work. Citations also allow people who are reading your work to be able to find the original sources of information. Basic citations for a book, for example, include the name(s) of author(s) or editor(s), the title of the book, the publisher's name, the place of publication, and the most recent copyright year. There are a number of styles that can be used to construct citations. Each style specifies the information to be included in the citation, the order of the information,the format, and the punctuation. Your instructor may require a particular style. If there is not an assigned style, then choose a style and be consistent with that style throughout your work. With these tools you can collect book and article citations from the library catalog and databases. Then using a plugin for MS Word, you can insert those citations into your paper in the appropriate format. See the library guide, Manage Citations with Zotero, Mendeley, and EndNote, on how to use these tools. Zotero is a free, open source citation management tool that comes as a Firefox extension or a standalone program for other browsers. It offers plugins for MS Word and Open Office so you can insert citations as you write your paper. Mendeley is not only a citation manager, but it is also a social network for scholars. Download the free desktop app that works on any platform. It has plugins for MS Word and Open Office. Mendeley offers a mobile app too. Detailed guide to APA, MLA, and Chicago citation styles. Navigate to "Research and Citation" on the left to access citation style help. 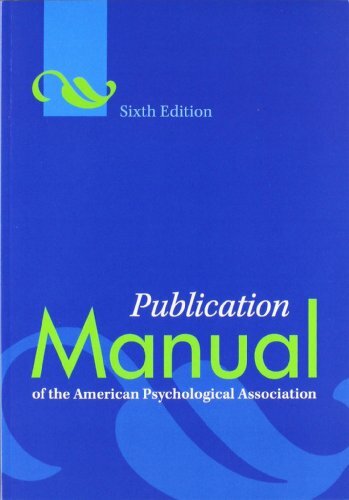 Guides to citing government documents in APA, MLA, Chicago, and Turabian styles.